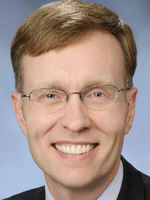 Info Attorney General Rob McKenna is an experienced attorney, public sector manager and seasoned civic leader, who has both practiced law and made law. While an attorney with the state’s largest private law firm, Rob McKenna represented business clients of all sizes. As corporate counsel, he advised his clients on how to avoid litigation and stay out of court - by obeying the law. For the past nine years Rob has served as a member of the Metropolitan King County Council, running unopposed during his last two elections. While serving on the Council, Rob gained a reputation as a regional and statewide leader on transportation, land use and fiscal policy. He has served as chair of the King County Council Transportation and Regional Transit Committees, and as chair of the state Transportation Improvement Board. King County is one of the largest local governments in the nation with over 13,000 employees and as chair of the Council Budget Committee, Rob has written annual budgets of over $3 billion. In addition, Rob has experience managing public employees – there are over 125 employees alone in the legislative branch of King County. Both as an attorney and elected official, Rob and his family have remained active in community and civic affairs. In addition to acting as co-chair or advisor to successful school levy campaigns in the Bellevue and Mercer Island School Districts, Rob serves on the Bellevue Community College Foundation and is a longtime member of the Bellevue Rotary Club. He was a founder of the Advance Bellevue community leader training program and the Bellevue Economic Summit.